With Ambroise Vollard, Paris; with Bernheim-Jeune, Paris; traded/sold to Auguste Pellerin (1852-1929), Paris, September 8, 1911, until d. 1929 ; his son Jean-Victor Pellerin, Paris, 1929, until at least 1939 . Owned jointly by Alex Reid & Lefevre, London, and Wildenstein & Co., New York and London, by 1944 to 1947 (acquired from Pellerin?) ; sold to Carroll S. Tyson, Jr. (1878-1956), Philadelphia, May 31, 1947 ; bequest to PMA, 1963. 1. Information from Bernheim-Jeune archives, cited by John Rewald, The Paintings of Paul Cézanne: A Catalogue Raisonné, New York, 1996, no. 763, and p. 341. 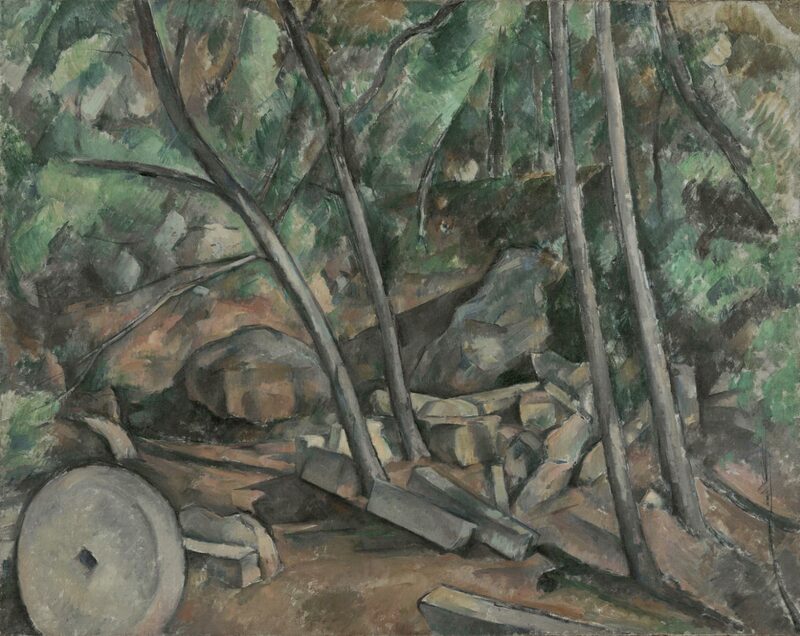 Pellerin acquired the painting from Bernheim-Jeune via trade (of another Cézanne) and purchase. At his death in 1929 he left 92 Cézannes to his son Jean-Victor and his daughter. 2. As the collection of Mr. and Mrs. Jean-Victor Pellerin, Paris in Albert C. Barnes, The Art of Cézanne, 1939, p. 419, no. 165. Pellerin exhibited the painting in 1939 at Wildenstein & Co., London. His family consigned other Cézanne paintings to Wildenstein around 1939 and therefore may have consigned this one as well. 3. According to Lefevre Fine Art (letter of Feb. 26, 2004 in curatorial file), their records indicate that they owned the painting together with Wildenstein, but they have no further information. Illustrated in Jan Gordon, "Commonsense and Contemporary Art," The Studio, January 1944, p. 4, courtesy of Alex. Reid and Lefevre. Cited by John Rewald, "As Cézanne Recreated Nature," Art News, Feb. 15-29, 1944, p. 12, as "collection of Wildenstein & Co." Lent by Wildenstein to their New York exhibition, "A Loan Exhibition of Cézanne for the Benefit of the New York Infirmary," March 27-April 26, 1947, no. 62. 5. Copy of dated receipt from Wildenstein to Tyson in curatorial file.